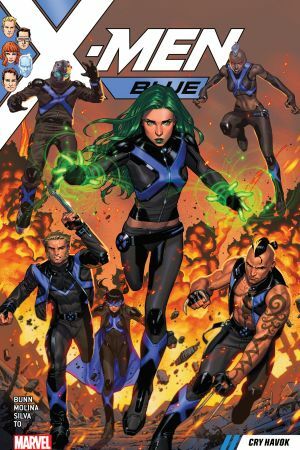 Collects X-Men Blue #23-28. With the original five X-Men lost in space, Emma Frost, Havok, Bastion and Miss Sinister hatch their devious plans — and unleash Project: Mothervine! Meanwhile, Jimmy Hudson and Bloodstorm feel the wrath of Polaris — once again a victim of the body-stealing Malice! And with his mutant charges missing, Magneto mobilizes against his enemies. His first target: Sebastian Shaw! But Magneto will soon come face-to-face with Havok — with the fate of mutantkind hanging in the balance! 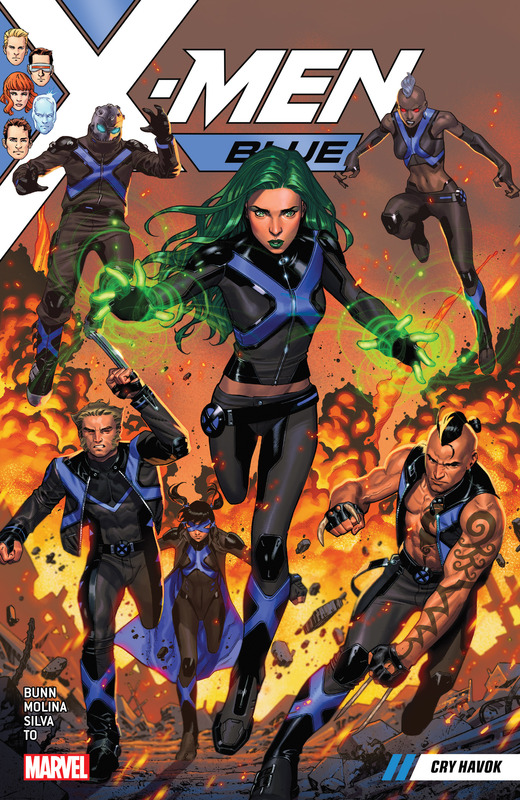 The original five’s absence means a new team of X-Men must take their place. But as the lethal Marauders strike, Magneto is forced to make a terrible decision — one that leads him ever closer to the darkness he has tried to put behind him! 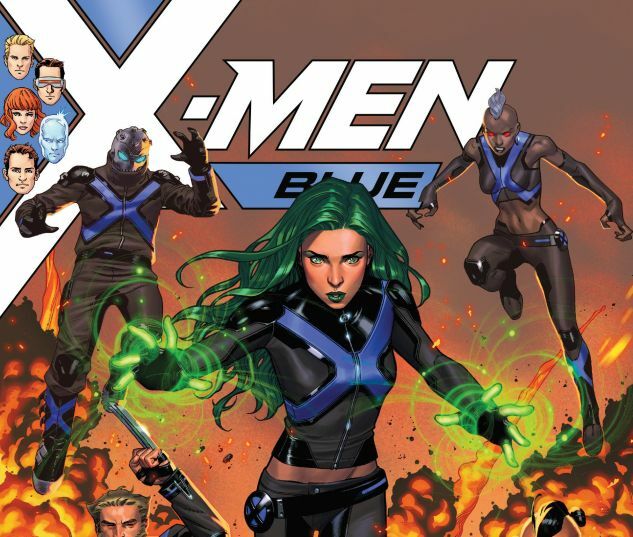 And some of the newest new X-Men might not make it out alive!